The Girl in the Flower Dress, is an episode with a lot going on in it. Luckily for us, it all works. Previously, the Skye was a double agent storyline felt a little half-baked and I was pleased to see that it was picked up here and resolved quickly but in an interesting way, not a way to just sweep it under the rug because the writers didn't know what to do with the plot thread. It is also interesting that those people we thought were evil, turned out to be her old boyfriend Miles. It turns out she is using any means necessary to find out who her real parents were and is an interesting route to take with this character rather than just making her a simple double agent. But Skye, having kept her continued involvement within The Rising Tide and her knowing Miles so well, lead to some good drama within the team. I particularly liked the fact that all humour and jokiness was taken away from the scene were Coulson rips into her betrayal and it ended up a powerful scene that it wouldn't have been had the humour been there. It was also good to see Coulson confide in May that he should have known Skye was a serious risk to the team. What was also another interesting plot twist was seeing Coulson let her stay on despite her betrayal although she now had a new fancy bracelet that stopped her from using any electronics. But, is her quest to discover who her parents were all that was Skye was after? I guess I'll have to find out. This episode also brought back Centipede, the villainous group who first appeared in the pilot episode and set them up to be the main villain for the time being. 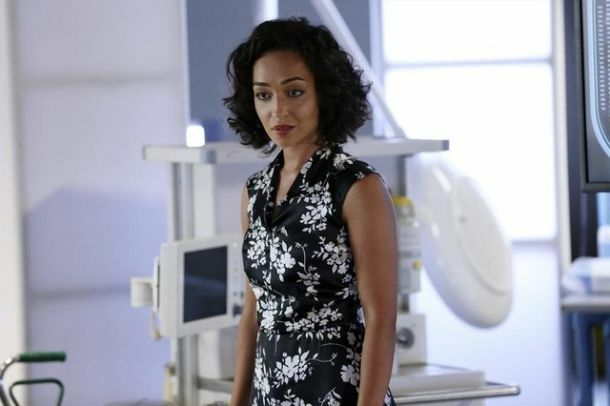 Actress Ruth Negga was wonderful as the mysterious Rayna who leaves Debbie, a character who also featured in the pilot episode to meet a grisly end. Talk about grisly, with the previous episode having set up a darker tone for the series, this episode continued that, firing on all cylinders, were baddie Chan Yo Yin AKA Scorch, a name which he is especially pleased with, lets loose his powers. We actually see Debbie burn to death in a sequence that is both twisted but fantastic and it is impossible to take your eyes away from, showing us that Agents can be really shocking. But it is Scorch's powers that are his downfall as he fights off the effects of Extremis, first introduced in Iron Man 3 and burns to death himself. But the end of the episode also gave something else to chew on, just who is this mysterious Clairvoyant? What threat does he pose to our team? And will he affect the future of the series? Agents is really starting to build it's own interesting story!